aRemonstrant'sRamblings | My theological and philosophical pilgrimage. My theological and philosophical pilgrimage. Islamophobia etymologically refers to a view which has some irrational fear of Islam at its core. But the term can also be used of those who use rhetoric and misinformation to cause other people to have an irrational fear of Islam. In this piece I will accuse Sam Harris of the latter of the two. I do not pretend to know whether Harris suffers irrational fears of Islam but the evidence is clear that he wants others to be afraid of Islam and to treat it as something which is a threat to what he views as a modern way of living. (3) cutting their means/power to steal, e.g. detention/jail. (4) cutting their sustenance, e.g. in order to compensate the value of the theft. Al-Bukhari  also takes this view but there are caveats such that such thefts cannot be trivial or due to desperation for food. Whilst there are other Muslims who reject the literal interpretation entirely and interpret the verse as saying nothing more than the person should be prevented from stealing anymore (Hazrat Mirza Tahir Ahmad). Some see it as culturally and historically outdated. So much for the matter being an “unambiguous injunction” as Harris incompetently asserts (28:23)! Harris then suggests that the only reason change takes place in religion is because of outside influence from humanism, secularism, and scientific rationality. Of course, he doesn’t make a case for this but merely asserts it. Even though Peterson points out that it was Christians who were at the forefront of the abolition of slavery in Europe Harris attempts to dismiss this historical fact (and a historical fact it is) by suggesting there were Christians on both sides of the issue. The audience clearly think this is a witty retort and there are lots of laughs but it’s not witty in the slightest. It’s completely trivial. Among the non-religious there were people on both sides as well. Does that invalidate the non-religious ethical reformers of their time? Of course not. Harris is attempting to invalidate any evidence which deconstructs his overlysimplistic (to say the least) narrative. But it’s mere desperation. He also does not seem to spot that this admition (that religion changes over time) damages his central thesis (viz. religion is old, outdated, and inflexible). Now we come to the bit I’m really going to take pleasure in refuting. It will be a pleasure to do so because it can be done quickly and easily and because it’s a classic case of Harris trying to sound authoritative about the subject of religion whereas in reality he’s not. 0% eh? So I only need to find one single Muslim in the UK who thinks homosexuality is acceptable to refute you? This ought to be easier than refuting his moral theory (although, in fairness, he did elect himself as the arbiter of judging whether anyone had achieved this and it should not surprise anyone the result was the same as when creationist Kent Hovind tried the same stunt many years earlier). How about the fact that the first homosexual Muslim marriage took place in the UK back in July of 2017? Will that do? I mean, I think it’s highly unlikely the participants think that homosexuality is unacceptable! Given this marriage took place two weeks short of a year before the Peterson/Harris dialogue it seems safe to conclude that Harris is not exactly up-to-date with his information (or one might say propaganda). In that article from The Guardian (footnote 7) you will also see the name of Umber Ghauri – a pansexual, agender Muslim – mentioned as a voice from within the Muslim LGBTQI+ community. Notice the polarisation of Harris’ terms. He talks about wanting to have a 21st century discussion about ethics and suggests Islam is dealing in 14th century ethics. But the legalisation of homosexual marriage only took place in 2014 in Britain! Now clearly that was in response to changing attitudes over many prior years but you only have to go back thirty years to find homophobia rife in UK culture. Was the UK like some medieval Arabian culture back in the 1980s? The worst you could conclude is that Islam appears to take a 1980s British cultural view on homosexuality! Maybe for some that’s not good enough but let’s not be peddling lies to people to further some anti-religious agenda which is, somewhat ironically, lacking in empirical evidence and painfully superficial. ‘Street epistemologists’ aren’t epistemologists say ‘street epistemologists’! The message is quite clear. Don’t take what they say seriously. When they use words they don’t mean them in their ordinary usages. They mean something which is merely an in-house colloquialism. They don’t want to be clear. They don’t want to be transparent. So when you hear a street epistemologist say ‘epistemologist’ or ‘epistemology’ just laugh. I know I do! I currently lack evidence any of them are epistemologists in the proper sense of the term. One of them called himself a “professional epistemologist” but once I found my way through the smoke and mirrors it turns out he has experience doing business negotiations! In a talk at the American Atheists National Convention in 2018 Anthony Magnabosco defined epistemology as “the study of knowledge” (yay correct definition!) but then he says people should think of it as just a ‘method’, ‘technique’, or ‘approach.’ Again, less than clear. I wouldn’t recommend watching. I watched the first hour. All I’m going to say is that listening to drunken sophomores at 3am in the morning is more enlightening! They sound very much like a cult which is attempting to agree, among themselves, how they are going to use language in a way which accords the views of their community. This is exactly the practice advanced by Objectivists (those who adhere to Ayn Rand’s philosophy in a cultish way) and we all know how seriously they are taken by philosophers! (PineCreek (PC) has a whole YouTube channel dedicated to his critiques of, mostly, Christianity. In one particularly hilarious video entitled ‘Critiquing Alvin Plantinga’ he tells his audience he is “quite, quite confident” Plantinga is a Calvinist. Well it would appear PC should be less confident about this. Anyone who’s bothered to read Plantinga would know he is a Molinist and not a Calvinist (if you don’t know the difference you know your homework!). He then goes on to butcher Plantinga’s epistemology and Reformed Epistemology alike. I’d like to write a post pointing out just how utterly flawed his understanding is on this matter but my ears are beginning to bleed after just ten minutes of listening to the guy. Life is too short to interact with such low-hanging fruit for very long. I’m no prophet but I made this meme when SE first hit the streets! This argument of Peter Boghossian’s is taken from a talk he did in 2016 to The Rationalist Society of Australia. He had just been talking about how faith is not a reliable way of knowing things and this argument is supposed to demonstrate why. He says he is going to make a series of factual statements (which he hopes no-one in the audience will be able to disagree with). “There are different faith traditions.” Boghossian shows the audience the symbols of the six big religions. His primary example to substantiate 3 is that Islam claims Muhammed is the final prophet and Mormonism says Joseph Smith was a prophet (and it’s uncontroversial that he lived long after Muhammed. Another example he gives is that the Qur’an says Jesus was not crucified and Christians say he was. Then he concludes they cannot all be true (because they conflict). He points out it cannot be true both that Jesus was not crucified and that he was. His next conclusion is that they can all be false. That’s quite possible. Maybe the Qur’an and the New Testament are both wrong. Maybe, contrary to all the historical evidence of course, Jesus did not exist at all. We are just talking logical possibilities here. It’s logically possible. But now notice Boghossian’s final conclusion. And this is where he completely loses the plot. Boghossian’s slides and what he says are at odds. His slides appear to want to conclude that all religious claims MUST be false whilst what he actually says is that most religious claims can be false. Well which is it? Either he is arguing that some religious claims which compete cannot both be true and since they cannot both be true they are both false. Well that’s evidently untrue. One could be true and the other could be false. Some professional epistemologists think there are synthetic a priori truths and others think there are not. They cannot both be right but that doesn’t mean both of them are wrong because they cannot both be right. Let’s say my wife and I disagree what I had for breakfast this morning and we have competing versions of the meal. I say I only had jam on toast and she says I didn’t have jam on toast but instead only had Weetabix. We can’t both be right. But just because we cannot both be right this does not mean one of us cannot be right and the other wrong. And, of course, since I’ve been married for twenty years all the husbands reading this know my wife is right! Even if we are as generous as possible in our interpretation of what he is saying then, ignoring the slide he put up, he is saying that competing truth claims made by religious people cannot both be true therefore most religious truth claims are wrong. But again that does not follow. One can only say that in those instances where there are logically incompatible truth claims both cannot be simultaneously true. But one could be true and the other false. If Boghossian is,very awkwardly and unbelelievably crudly, trying to say that religions all use faith (in his sense of the word ‘pretending to know things they don’t know’) as an epistemology and this is why we get different answers to the religious questions. So, reverse engineering, the different answers are evidence of a faulty epistemology then Boghossian is opening an even bigger problem up for himself epistemologically speaking. Take reason as one example. 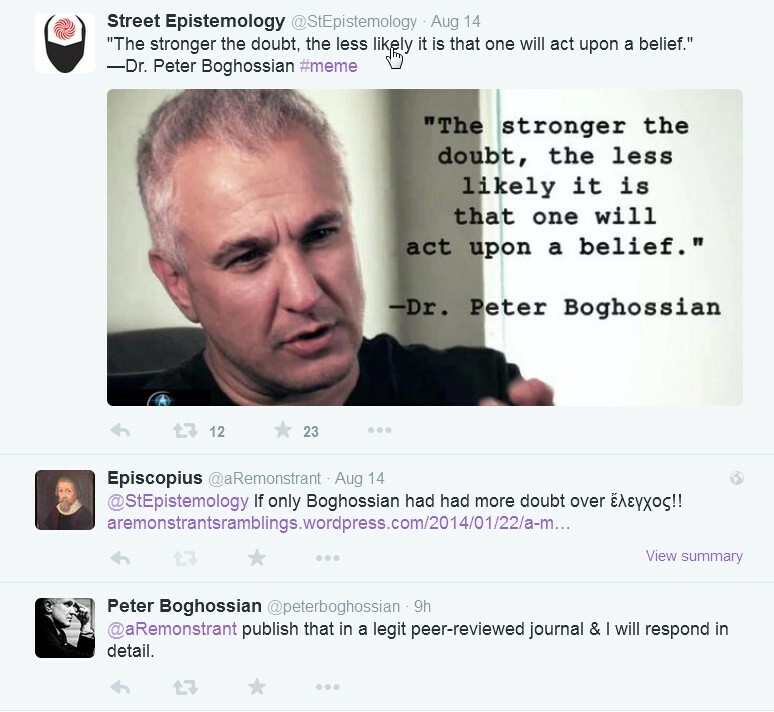 Boghossian has often lauded reason as a reliable epistemological tool but reason can give as alternative answers too. Take the field of ethics. Philosophers have been reasoning about morality for as long as we have records. During this time they have had completely different answers to the most basic questions of morality. Some philosophers have even argued that there are no such things as right and wrong. Such philosophers existed among the pre-Socratics and such philosophers exist in the modern day. Normative ethics is a whole minefield of different paradigms through which to view morality. There are certainly as many philosophical paradigms of ethics as there are religions. So if the mere existence of different answers is evidence of a faulty epistemological tool then we would be forced to admit that reason does not help us conclusively answer some of the most basic, and many would say most important, of the philosophical questions – how should we live? Boghossian quickly moves on to talk about religious truth claims being delusions but since this appears to be his argument for them being delusions he has not properly demonstrated this to be the case. He is, ironically, asking us to take a huge leap of faith (and here I do mean in the Boghossian sense) with him in the dark whilst blindfolded! All rather worrying for a person who is an assistant professor at a university! Now I’ve seen the whole thing I think Richard Shumack raises some good points in reply to Boghossian. The main one was to point out that the god question is still considered very much much alive in academia. Of course, Richard may not be aware, but Boghossian has attempted to deride ALL academics (atheists included) who engage in academic philosophy of religion. Ironic given his penchant for popular-level philosophy of religion writing! I do try my best not to mock people but there’s a moment in the Q&A at the end where I simply cannot resist. Boghossian states he has no idea whether Jesus existed or not. He says “I’m not qualified…” to comment (which does make me wonder why he then comments!). Then he tells his audience Robert Price doesn’t think Jesus did exist while Bart Ehrman says he did. He uses this to state that there is an ‘argument’ about whether Jesus really existed or not. I want you to notice just how little of a debate is needed for Boghossian to get sceptical. Robert Price is not a first-century scholar. He’s a theologian and textual critic. So, for Boghossian, it is enough to question the historicity on the basis of finding one single non-expert who disagrees. Notice the low threshold. On this basis I assume Boghossian doesn’t know whether the Holocaust took place or not. I mean some people even call David Irving a ‘historian’ and he denies the holocaust so if we apply Boghossian’s trite epistemology we’d be justified in doubting the Holocaust. I seriously doubt Boghossian is about to become a Holocaust-mythicist on this basis and until he does he’s applying a standard of knowledge to some aspects of history inconsistently. If he does adhere to ‘scientism’ we should not be surprised. It appears that, without any hint of irony or retraction of his previously declared position, that he has himself recently published in the subject of philosophy of religion. Not in one of the bigger journals on the subject but, nonetheless, what would still qualify as being published academically. If I read this situation the way Boghossian reads academics in his ‘A Manual for Creating Atheists’ I might stoop to claiming that Boghossian has blatently contradicted himself and, in doing so, has placed himself (in his own metaphor) as being at the kids’ table. However, since I believe in extending people the principle of charity, I will do my best to interpret the situation as one where Boghossian has outgrown his previous grandiose claims and realised that to mock academic philosophy of religion was completely erroneous. Having realised this was such a Trumpesque twitter soundbite of a moment he has done a u-turn. The only thing which is sad about such u-turns is that some people never actually come out and retract their previous statements and take them back. Blaming God for my deconversion? Now I’m obviously not going to defend every deconversion story (I don’t know them all for starters) or even all the ones Lydia had in mind but I will respond to what seems to apply to my own story. Lydia explains why she does not like the excuse (if it really is such a thing) that a person might say they didn’t want to deconvert but they ended up doing so after struggling with their faith and God did not meet their expectations in some way since it is making God to blame. I’m not sure what to make of that. I can honestly say I don’t think I’m blaming a being I don’t believe exists (that really would be quite irrational and require more help from a psychologist than a theologian). I became convinced, and still am, that the New Testament (NT) suggests some genuine degree of companionship between God and a follower of his not just in the afterlife but in this life also. Numerous Christian theologians of late have emphasized this by drawing attention to Jesus’ teachings on the Kingdom of Heaven sayings of Jesus (eg. N.T. Wright). I also explained why I thought this was so due to what the NT seems to suggest about the companionship of the Holy Spirit. Even as a Christian I was always a strong believer that God is not our slave and not bound by our orders or whims. Yet, at the same time, I believed in the companionship of God. But as days became weeks and weeks became months and months became years there came a point where I had to admit that I had absolutely no companionship with God at all. And I want to be clear it wasn’t just the experience of that that caused the deconversion. It was reflecting and thinking about it that caused that. I could not reconcile many NT passages with my own experiences. I could not understand the value of a God who is willing to die for us and yet appears to play hide and seek when we need him the most. What good is his presence in heaven where there will be no suffering? The time for it is in this life. And even if God would keep it from us for some mysterious greater good then I think he is asking us to be fideistic about our faith. So, in brief, I cannot believe in a God who essentially requires us to believe in him in only some academic, rational way and who denies us genuine experiential companionship in this life. Now, I know, this will leads many Christians to reply that I am requiring God to meet a standard he does not have to. Fair enough. So I am accepting that the fault is mine if that is the case. I’m not blaming God. If it turns out my requirement of God was wrong then I’ll take that on the chin when the time comes. I’m okay with that. I don’t want to be with, or worship, a being who claims to love us and yet who cannot (or will not) be with us in our sufferings. Being with someone like that would not be heaven to me – that would be hell. So, if the Christian God does turn out to be real he will not be punishing me by denying me heaven. He will be saving me from being in the presence of a being whom I hate with all my being. So, if Christianity does turn out to be true, I will not be uttering Bertrand Russell’s immortal words but rather choose my own. I’m not sure I need say anything in fact. God isn’t to blame I just don’t want to be anywhere near him if that’s the God who turns out to exist. Now, even though I have huge respect for Lydia and the form of Christianity she adheres to, I do take some offense at the charge that my deconversion story is due to having too “childish” a view of the Christian God (as if I’m describing some parody of God Christians really don’t believe in). I am annoyed at that charge because I have spent enough time in churches, Bible Colleges, study groups, talking to top Christian theologians and philosophers, and reading Christian literature to get my criticism spot on. Even though in recent years my church experience had been in charismatic churches most of my years were in non-charismatic, and even anti-charismatic, circles. Even then, the VAST majority of Christians gave testimony to their experiences of God in their lives and how they could see him at work. They talked about God teaching them, comforting them, answering their prayers, and guiding them. Christianity is soaked with such accounts of God at work. A God who is active in the world is the bog standard view of God in Christianity and is not some childish parody. Even in the (almost Plymouth) Brethren church I grew up in talk of God in action in people’s lives was the default view. Now if this view of God is faulty then it appears Christianity is in a very bad position since most of its adherents have misunderstood their own religion and if that is the case that has serious implications for how badly God communicated himself in the Bible. I know that Lydia would be the first to reject any charge of sounding fidestic in her response and she even says as much. But I think her response is open to that criticism. As Christians are generally quite prone to doing we get offered the God whose thoughts are above our thoughts and whose ways are above our ways. When God doesn’t make sense we have to put it down to our human reasoning limitations. This really does look like fideism is sneaking in through the back door here. This is not in response to Lydia but, in the last 18 months, I have become interested in how disturbing some Christians find deconversion. This is something they clearly feel they cannot be fideist about. They must explain it. Most opt for the “You’ve not understood my God!” charge (see comments underneath Lydia’s post) which is interesting not least because Christianity has so many differing versions of what God is like for starters. I guess these Christians probably think most Christians throughout history were not real Christians but only the ones in their own little sect. Then you might get the ad hominem charge that your faith was never a genuine one. I laugh at that one. Or you get the ‘poor theology’ charge. This one usually comes from a Christian who has read less theology than Benny Hinn. I like asking such people what the most recent systematic theology is that they’ve read. (They’re unlikely to even know what a systematic theology book looks like!) Some of them haven’t even read the whole of the Bible either! I would suggest Christians get so uppity about deconversions because it resonates with the fact that they themselves have their own doubts and they spend a great deal of time trying not to think about them too much. That someone could have genuinely been a Christian, studied Christian theology deeply, and spent decades in church listening carefully yet walked away from it all bothers them profoundly. Yet, in this case, the fideistic wall filler isn’t enough. Instead we get a barrage of pretty flimsy responses ranging from logical fallacies through to plain old insults. This is why I won’t bother engaging with most Christians in comments sections anymore. My thanks to Lydia for her piece. 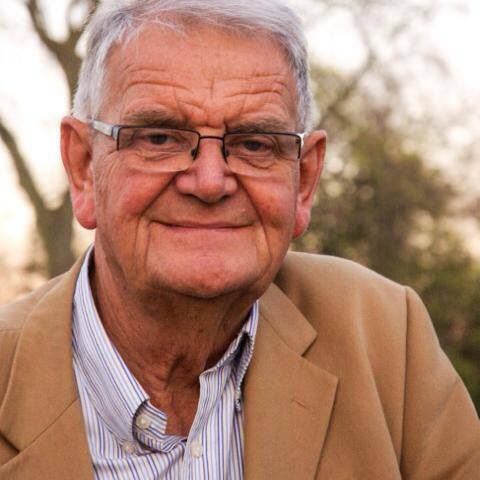 Recently I saw a book called Walking with God through Pain and Suffering by Timothy Keller. I readily admit I didn’t read the whole book but, knowing Keller’s penchant for Calvinism, I couldn’t help but read the chapter called The Sovereignty of God. As you would expect, there are the common explanations that suffering is ultimately the result of human sin (Adam and Eve) but that individual suffering is largely mysterious as to the direct cause (Job). What is more curious is his use of David Bentley Hart’s book The Doors of the Sea: Where was God in the Tsunami as he tries to explain how suffering is the enemy of God. Firstly because Hart is ardently anti-Calvinist (especially in that book) and secondly because this makes little sense on a Calvinist worldview. How can something God divinely authors and decrees be described as his enemy? Keller, in my opinion, offers us little of a response. What is even more curious is that Keller gives just two pages to explain compatibilism to his audience. I have already claimed in numerous previous blogs that this is one of the fundamental issues that causes the Calvinist a huge intellectual problem and this is why it is sad to see it treated so very briefly. What do we mean, first, when we say that God is sovereign over history and therefore over suffering? The doctrine of the sovereignty of God in the Bible has sometimes been called compatibilism. The Bible teaches that God is completely in control of what happens in history and yet he exercises that control in such a way that human beings are responsible for their freely chosen actions and the result of those actions. Human freedom and God’s direction of historical events are therefore completely compatible. To put it practically and vividly – if a man robs a bank, that moral evil is fully his responsibility, though it also is part of God’s plan. Keller goes on to assert that this should be understood quite differently to some Islamic and ancient Greek ideas of fate but, if you think about it, it’s pretty tough to see how. How on earth can God “completely control” (not partially control or merely know in advance) each and every individual action that takes place in the universe and yet still hold such agents fully responsible for their actions? They are doing what he has decreed! I confess that I love Calvinist analogies and the robber analogy doesn’t disappoint. Now imagine that same man robbed the bank because he was literally forced to by some other agent (person). How on earth can the robbery be his responsibility? Even the most incompetant solicitor would argue for dimished responsibility in this case. God’s plan works through our choices, not around or despite them. Our choices have consequences, and we are never forced by God to do anything – we always do what we most want to do. God works out his will perfectly through our willing actions. I think Keller has been sneaky here myself. Calling it God’s plan makes it sound more compatible with the man’s action than if he were to admit it was God’s will or decree. Once you call it that it becomes much harder to explain how it could possibly be compatible. It also becomes harder when you remember that God has given us our natures and desires by his own sovereign decree as well. You desire what you desire because God has decreed you will desire it. But Keller is not about to make that clear to his popular Christian audience. Now the robber analogy should make it clear that the robber robs according to his own desire and will but that this desire and predisposition to do such an act has been created by some other agent’s source other than his own so that the other agent’s will is achieved. Keller doesn’t go back to his own analogy to spell this out and it’s no surprise he doesn’t. Good luck finding a Calvinist who can explain compatibilism… this is where you will be told about divine mysteries and the fallen nature of man’s understanding. The mystery card is played by all people who believe irrational things! To tu quoque or not to tu quoque? Or I might equally call this: Why pinching an Alvin Plantinga argument to one problem and applying it to another isn’t really good enough! Personally, I am yet to hear one single good response to this objection from any Calvinist. In fact, recent responses appear to be admitting that there is to be no rational reply at all and, even more than this, that we ought not expect one either! This is Rishmawy’s explanation of what Williams calls the “cognitive gap” response. Williams is borrowing this response from Alvin Plantinga’s classic response to the logical problem of evil where Plantinga points out that one would have to know that there is no good or just reason for God to allow for suffering and evil in the world before logically concluding that God does not exist (as per Epicurus and Hume). So Williams and Rishmawy appear to be claiming they can use this to answer this problem (which Williams calls the “sparcity objection”). What they appear to have missed in Plantinga’s argument is that he did not stop there. He then proceded to provide a logically valid hypothesis for why there might be suffering and evil in the world (the classic argument from free will). Now I notice that Williams (at least so far as Rishmawy summarizes him) and Rishmawy don’t do this. Instead they end up envoking mystery as a virtue in the face of an extremely perplexing problem which seems to be in direct conflict with the God revealed in the Bible (as Calvinists claim to believe in). Plantinga’s response works precisely because he shows that there are reasonable responses to the logical problem of evil and conditions, under which, suffering might make some sense. In doing so he demonstrates that there is not necessarily any such logical contradiction in affirming God’s omnipotence, his omnibenevolence, and the existence of suffering and evil. He shows that the three affirmations do not contain a logical contradiction at all. These Calvinists appear to be doing no such thing with their mere appeal to mystery and cognitive distance between humans and God. We all know that arguments from intuition can have their problems but are arguments which glory in their counter-intuitiveness to be given an uncritical welcome? It sure sounds like some Calvinists glory in such. Notice that God is now emphasized as the “counter-intuitive Lord” where I guess we just have to admit that our ways are not his ways. So God loves all human beings (feel free to cite your favourite biblical verse) yet he chooses only a very small percentage to save? And yet when we ask why the reply is that we cannot understand God sufficiently to answer this question. These Calvinists often write endless multi-volume systematic theologies on how God has made it possible to know about the nature of the Trinity, the two natures of Christ (among many other highly complex Christological matters), God’s communicable attributes and his incommunicable attributes, the essential nature of humans, sin, atonement, miracles, and the resurrection ad infinitum. All these complex theological problems can be answered rationally so say the Calvinists albeit with some differences of opinion. But when it comes to a simple question a child might well ask as to why God chooses so few for salvation they have to “punt to mystery” (to borrow from Jerry Walls). No doubt feeling a little guilty of punting to mystery, Rishmawy’s retort to such a practice was to point out that we all appeal to mystery at some point in our thinking. Hence the title of this post. Not content with appeals to mystery, we now have the use of a logical fallacy to support it! It is not a virtue to point out that others have problems in their worldviews as a justification for the existence of my own. The reason for that ought to be obvious. If that were a legitimate argument then you could make any worldview virtuous on this basis and preclude it from rational scrutiny. That way lies complete madness. I would also point out that appeals to mystery by Christians seriously undermines their classical approach to evaluating other religions as not true. Christians will often appeal to logical problems in other religions in order to attempt to demonstrate the superiority of Christianity but if Christians persist with this mystery / cognitive gap approach to the knowledge of God then should they not give such a luxuary to others as well? Would a Christian find it convincing if a Hindu believed in many gods and one god at the same time? Surely they would want to reason with them. They should either accept Advaita Vedanta or some form of monotheism. But what if they tell the Christian that just because such concepts do not make sense logically doesn’t mean to say that both cannot be true at the same time? This is often the solution to the problem of god(s) being personal or ultimately impersonal as well. Where would the Christian go with these discussions now? I have talked to many Buddhists about the rationality of their worldview and often they will simply smile. They are not being patronizing (I don’t think) but rather their smile suggests that human reason is not capable of sufficiently causing them to doubt their beliefs or the teachings of the Buddha. If reason be usurped by appeals to mystery then why should Christians (or more specifically Calvinists) be the only ones to get a ‘get-out-of-logic-free’ card with this kind of strategy? This modern-day mystical Calvinism, if taken to its logical conclusion, offers nothing but a gaping black hole epistemologically. But then, perhaps there is a problem of cognitive distance between the divine and ourselves? That might start explaining why Christians can interpret their scriptures in such different and opposing ways on so many important issues? If Christians took this problem of cognitive distance a bit more seriously then perhaps they might end up being more inclusive and sympathetic to other religious views on what constitutes the divine and be less pedantic that their revelation is the only one which counts? Just a thought! In the link I had provided some good evidence, from scholarly sources no less, correcting Boghossian’s mistaken (or perhaps I should say made up?) historical etymology of the Greek word ἔλεγχος. Both in his book and in a lecture he claims there was some huge semantic change in the meaning of the word when used in the New Testament as opposed to more classical Greek. He made such a claim without any evidence whatsoever. He did not cite one single scholarly, or even a more popular, source that supported this claim. Nothing. As I have said, I made the correction using scholarly literature. 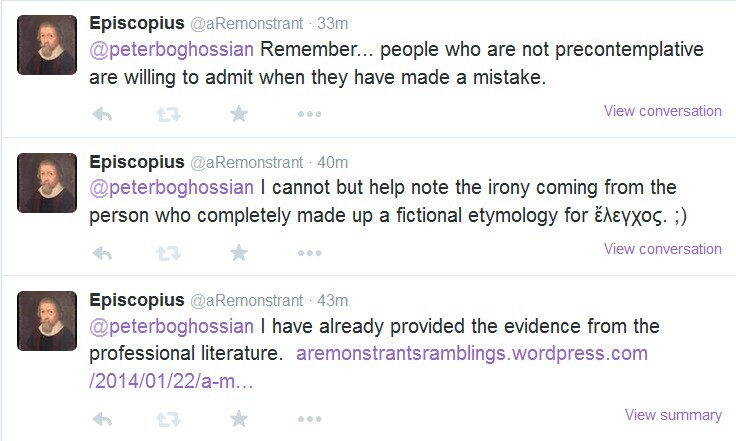 In reply Boghossian appears to want my correction published in a peer-reviewed journal! Now this is hilarious for many reasons. Peer reviewed journals don’t tend to publish articles stating the bloody obvious! Peer review journals also don’t tend to publish articles written to correct claims of non-specialists that are completely unfounded and which agree with the already agreed scholarly consensus. An article that is simply pointing out a mistake that someone has not done their homework and looked up the meaning of a word properly is not going to make it to peer review. I think, very likely, Boghossian knows this and that is why he has made the request. It is so he can avoid having to look at the evidence. On this matter it is quite unambiguous. He only needs to read my response and either apologize for his mistake or he needs to show that the scholarly literature is wrong and he is right (which is something which would interest a publishing journal in Greek language studies!). I would also like to note the irony of such a request as well. 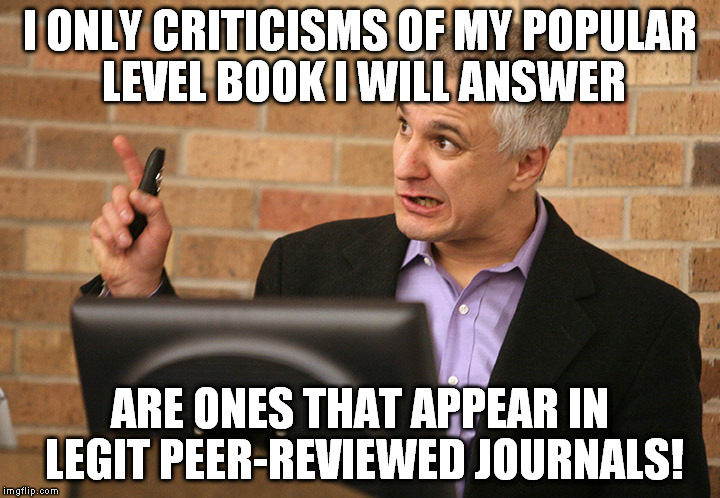 Has Peter Boghossian got anything published in peer reviewed journals on the subject of philosophy of religion? Last time I checked he has not. Did he not go straight to writing a popular level book on the subject? Does this mean we can just ignore all his arguments in his book and instead wait until he got some of them peer reviewed? Well, according to Peter, that’s how we should have reacted. The hypocrisy here is really quite staggering. As well as bearing the hallmarks of precontemplation he also appears to have some serious issues with consistency and coherence. Unfortunately Boghossian is unlikely to see them because he currently has me blocked! So much for dialogue eh Peter? My testimony is no doubt quite similar to many modern-day evangelical Christians. When I was ten years of age I became a Christian at a Billy Graham rally in my home town. However my Christian journey did not really become really real for me until I was 18 and went to a Bible College. This is where I was baptized. I then did a further 5 years at Bible College and University studying theology and gaining my post-graduate certificate in education. If I count the years I was serious about my Christian faith they run from 18 to 40. 22 years! No small journey I think it’s fair to say. Christianity has not been a small part of my life. It has consumed my life and I have devoted a huge amount of my life to it. 1. The silence of God. 2. The contrary and diverse teachings of the church (God’s inability to communicate effectively enough to resolve some pretty important questions Christians still debate). The first takes priority in terms of weight for me personally but the second has been a concern for much longer. The first is primarily experiential. The second is an argument which I think is highly problematic for, not only Christians, but all religious traditions which assert infallible and exclusive divine communication. Let me first say that my journey has not taken me away from theism. I still believe in some sort of God and perhaps that God is even personal (so I do not yet qualify as a deist yet either) but I do not believe this God involves himself in the affairs of humanity on this planet. In that sense I might be called a deist to some degree. The evangelical churches I have always been involved with have very much stressed the ongoing, and sometimes meticulous, involvement of God in his creation. Not only does this God do things but he also speaks frequently and beyond what the Bible says. This led me to a crisis in my faith during the year 2014 when I was diagnosed with a brain aneurysm. My primary problem was not that God did not miraculously heal it or that he did not take any of the pain away throughout that year as I suffered daily chronic headaches (and which I still suffer from now). It was not that I was left with mental health issues subsequent to the brain surgery. It was not that my health may possibly never be the same again. I am genuinely willing to accept the suffering for what it is. Huge numbers of human beings suffer and many have it much worse than I. The problem was his silence. In my most desperate moments of physical and mental agony, depression, and loneliness God was not there. I was rescued from suicidal thoughts by my family and a very good psychologist. I know some Christians will assert that he was there (in some sense behind it all) but I am afraid he was not there in any proper or real sense of that term for me.There was no sense of companionship, friendship, or experience of the one called “the comforter” in the New Testament. And if there is to be absolutely no relational value in being a Christian then I seriously question the value of believing it. So perhaps God doesn’t continually chat with these other Christians either and they are projecting onto God what their conscious mind expresses? But even if that is the case that helps very little since God is still silent. It just makes it even more painful to realize that huge numbers of Christians are deluding themselves into thinking God is talking with them continuously when in fact he is not. The companionship which the New Testament appears to talk about was simply not there. So what is the point of all this noetic belief if that’s all my Christianity is (was)? What kind of God has no relational component to offer in this life? Christians love to use the father analogy for God. But what father would do that to his child especially if he has all the means to be alongside them at that moment? Certainly no decent father would distance himself at such a time. I cannot bring myself to believe in a God who is so clearly absent at the moment I needed him most. (And don’t get me started on the ‘Footprints’ poem!!) If the Christian God does exist and he does communicate with people then my spiritual antenna (as one of my Christian friends put it) is clearly broken. What I do know is that if my son was in unbearable pain and desperation and was sitting begging for me to comfort him in such a moment of desperation, and it were in my power to comfort him, I would! I do think this could be broadened into an argument but that’s not the point right here and now. I am very far from being the greatest sufferer in the world so don’t get me wrong as I don’t want to sound like that. When you spend as much time as I have in the last two years in and around hospitals you begin to realize just how fortunate you are more than how unfair it is that you are sick. But those other people must give their own experiences and make their own arguments. Some of them will say that God was there for them. I am less concerned with judging that. I can only give my own personal experience. My journey is not over but it has taken a turn I had not expected! My second point is an argument against all revelational forms of theism and I shall make it in an upcoming post. I think this argument is potent and often gets overlooked far too quickly. PS. I still stand by the vast majority of what I have said in previous posts. I still think the likes of Carrier, Dawkins, and Boghossian are laughable commentators on theological and philosophical matters and I shall therefore leave all such posts right where they are! I do continue to think that the only rational form of Christianity is one which allows for libertarian free will and that Calvinism is highly irrational and to be treated with contempt. On such matters I hope to be able to keep writing. Paul is talking about having maturity in growing as a Christian and seems to be suggesting that God will make it clear to a person when they are not on the right path. I don’t ever recall such an experience in the last 22 years of being a Christian. I say that with complete honesty. Not once. No doubt I would have been on the wrong path on many occasions but never once did I experience this. He also stresses that God still speaks to people today as he spoke to them in the Bible. He stresses this might be a lot more subtle than hearing an audible voice which is fair enough I think. He encourages people to be discerning in this matter. Now this is all well and good but I don’t honestly recall having any experience of this either. He says that God speaks though prophecy. I can think of three specific occasions when people have given me such ‘words’ and none of the three ‘words’ came to pass. Two of them cannot possibly come true in the future either. On one of the occasions a certain preacher tried to push me over so I would fall to the ground. Since I didn’t fall he pushed me twice as hard. Again I did not fall over since I did not wish to simulate something that was happening to me. He also says we should expect for Christians to see visions and dreams. I’ve had neither to my knowledge. I had a dream many years ago that England would beat Germany at football (real football not American ‘football’!) by a score of 5-1. The next day this actually happened. Did I think this was from God? Of course not. He says that God speaks through ideas and feelings (Nehemiah 2:17) but how do I know that’s God and not me? He suggests a period of trial and error but that’s the exact same process I use to discern my own good ideas and bad ideas! He also says it will feel like it’s coming from ‘outside’ rather than bubbling up from the inside. I cannot relate to that either. He says that some Christians get angelic visitations. Needless to say I’ve never had such an experience! He says another way is a person getting a pre-linguistic sense of something. But I know countless non-religious people who get these same experiences as well. All human beings get such ‘senses’ of something to do or say which seems to come from somewhere outside themselves. Moreland concludes that while it is usual for Christians to get periods of silence but that there should be parts of our Christian journey where it is clear that God is communicating to us. This is why I have walked away. Such clear experiences of God communicating have not happened in my experience. I do not have some “romantic” notion of the Christian God (as one commentator claimed) but the same idea of a relational God that Christians have classically believed in. When I was a Christian I would have explained this away probably by suggesting that such a person is not genuine or sincere in their search for God but I cannot doubt my own sincerity. I know (as much as I can know anything at all) that my journey was a genuine one. I think Moreland’s message convinces me that I ought to feel justified to conclude that, at least for myself, God is indeed completely silent. You cannot love someone who is, to all intents and purposes, not there in any discernible way! i) I think there’s extensive, compelling evidence for a God who is active in human affairs. But the pattern of God’s activity is perplexing. ii) Suppose, for the sake of argument, that the God of Arminian theism is nicer than the God of Reformed theism. Problem is, having a nice God on paper doesn’t make real life any nicer. You can say all the warm and winsome things about God that Arminians are wont to say. You can contrast that with the “stern” God of Calvinism. But as this erstwhile Arminian blogger discovered from painful personal experience, the loving, fatherly “relational” God of Arminian theology is a paper God. A God that only exists in the mind of the Arminian. A verbal construct. You can say the Calvinist God is harsh or “morally monstrous.” You can contrast the Calvinist God with what you deem to be the superior character of the Arminian God. But switching from Calvinism to Arminianism doesn’t make the world any different. Believing in a nicer God doesn’t make the world a kinder gentler place than believing in a “harsh” God. In the Arminian lodge, you have hot chocolate and chestnuts roasting on an open fire. But when you have to get up and go outside, the dark arctic bast slaps you in the face. The world you must live in everyday is just the same whether you’re Arminian or Calvinist. Believing in a softhearted God does nothing to soften the world. It changes nothing. The toasty, climate-controlled environment of Arminian theology doesn’t survive exposure to the elements. It fosters expectations that are dashed by brutal experience. The glib, fact-free bromides of a Jerry Walls didn’t prepare him for his ordeal. Reality is unforgiving. I would just like to say, I’m surprised it took this long for an unsympathetic Calvinist to turn up and gloat at this post. I was expecting it a lot earlier to be honest. Regarding i) it’s a real shame such “compelling” evidence appears to be so uncompelling even to very sincere truth-seekers! But then the typical Calvinist reply to this is to suggest such people are not really sincere in their searching for God which is, of course, a classic ad hominem. This blogger may feel there is compelling evidence for such activity but I wonder what he/she would list? Patterns in toast, funny feelings, weird dreams, that one person survived a plane crash when the other 244 passengers died, things which could be mere concidence, or appeals to what we cannot yet explain? I think the confession that such activity is “perplexing” is an admission that the case is maybe not as compelling as he/she first thought! ii) I would have thought that any careful reader of my post would have noticed, my concern was not with the character of God as described in classic Christian theism. It was not about whether God is ‘nice’ or not in human terms. That had nothing whatsoever to do with my deconversion. My only expectations were for a relationship with God the kind of which the New Testament describes and Calvinists and Arminians see that pretty much the same I’d say. But of course I can see why this blogger has chosen to distort it this way. This blogger must also think there cannot be evangelical Arminians since the God of evangelical Arminianism is far from “softhearted” as they usually adhere to the doctrine of punishment after death and they hold to the judgement described as being done by God in the Bible. But this oft-used parody of the God of Arminianism is just that. This Calvinist almost wants to boast of the seemingly horrid kind of God he/she believes in! It’s almost as if the more horrible God appears to us the better he must be! My thanks to the person blogging for pointing out that the world is a harsh place. That is a very welcome reminder. Having been in daily chronic pain for almost two years I needed to be reminded of that just in case I had forgotten! This kind of response from a Calvinist reveals, I think, their very fatalistic approach to apologetics and relationships. This blogger must think that his/her total lack of empathy can have no adverse affect whatsoever. After all, should I change my mind it will have everything to do with God and nothing to do with him or her. One last observation I would make is that the responses from Arminians has always been one of sympathy but responses from Calvinists have been mixed. A few have been sympathetic but there have been a few who have either completely ignored me or been really very cold in their response (both online and in person). I suppose those are the ones who are being more consistent in displaying what the Calvinist God is like? The love of the Christ they believe in is shining through. Well done to them! Terry Virgo – leg lengthening miracle or parlour trick? It was as a child that I became fascinated with magic. I remember being completely mesmerized by David Copperfield and his incredible ability at sleight of hand. Even as a child I knew I was being deceived but that was part of the fun. I wanted to be deceived. Trying to work out how he did his tricks was enjoyable. As I have got older my love of magic has been joined by an outrage for those who use magic and mentalism to attempt to convince people they have special powers that they know fully well they do not have. There are a good many people out there claiming to be psychic or able to have supernatural knowledge about other people who are merely abusing techniques that are well known by professional magicians, can be performed much better by professional magicians, and which have a very natural explanation. This deception also extends into the Christian church without doubt. I am not claiming to know for certain, or to have proven beyond doubt, that Terry Virgo performed nothing more than a visual deception. I do, however, encourage you to carefully compare the two video clips below. 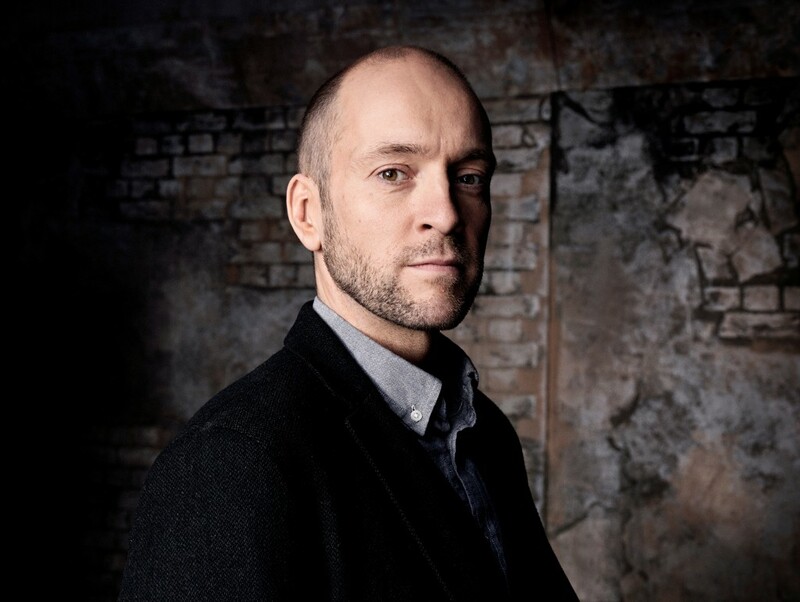 First I would like you to watch this clip from the Derren Brown’s expose called ‘Miracles for Sale.’ This was a programme where Brown trains a non-religious person to become a fake Christian miracle healer using lots of showmanship. This particular clip is where Brown explains how to give the illusion that a leg has been lengthened. Now I would like you to compare Brown’s tutorial with this clip of Terry Virgo supposedly healing a man’s leg by lengthening it. If you watch the second video back carefully and pick a mark on the carpet behind the man’s left shoe you can actually see that it is the left shoe that is being pushed back rather than the man’s right leg being lengthened (as Virgo is praying out loud for). This would strongly suggest that we have an example of the shoe on the normal leg being pushed in rather than the short leg being lengthened. The evidence certainly suggests to me that this was not a miracle healing but a visual trick. This would also explain why the gentleman in question appeared to be unaware of the difference in length between his feet (which appears more than a little odd) and also his apathy at having been ‘healed.’ If you listen to their conversation we are being asked to believe that the man being healed was completely unaware of a one inch difference in the length of his legs! I find it hard to take that seriously. If it can be demonstrated that this was not a sleight of hand magic trick then I will remove this post and I will write a retraction and a full apology. Until I see evidence to the contrary I am afraid the evidence suggests this is not a genuine healing. Worse than that it appears to be a deliberate and premeditated attempt to fool people into thinking a healing took place when that was not the case.